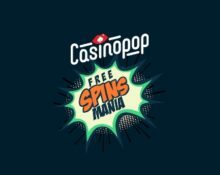 CasinoPop – Free Spins Mania! Get your daily reel fix! Enjoy Free Spins on deposit, every day! This week, CasinoPop gives its players a special treat with their Free Spins Mania. They turn a dull week to a colorful party with new Free Spins offers every day. But that’s not enough, everyone leveling up also gets additional Free Spins every time. That means they hand out unlimited amounts of Free Spins this week, so get started. This week is promising to be a thrilling party at Casino Pop as they will fill every day with awesome specials that will reward all those players stopping by from Monday to Sunday. 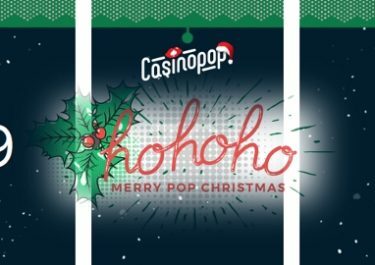 Free Spins, Epic Spins, generous bonuses, tournaments, challenges and one day per week a surprise offer will make for great gaming throughout the coming weeks. Magic Monday: Claim a total of 45 extra Free Spins on the next three deposits. Min. deposit is €15. Speedy Tuesday: Double speed on the level bar is active all day that will allow players to collect extra Free Spins and more rewards from the popSPIN game. Gold members receive 20, Silver 10 and Bronze 5 Free Spins at double speed level up. Happy Hour Thursday: Log-in between 15:00 – 17:00 CET and make a minimum deposit to instantly receive 50 Free Spins on Asgardian Stones™. Mystery Friday: Deposit every day throughout the weekend and collect up to 100 extra Free Spins per day on a selection of Yggdrasil slots. Plus, take part in daily Mystery Cash Races on five Yggdrasil games with random treasure chests worth up to €10,000 in cash.